A reverse OpenID Connect and OAuth 2 proxy, implementing the client-credentials flow (machine-to-machine authentication/authorization). 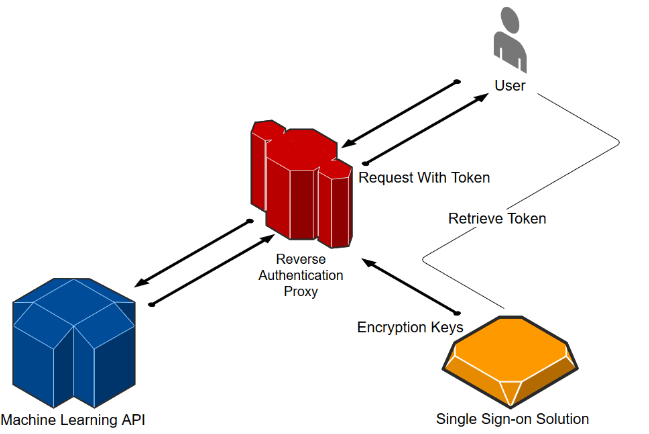 It can be used to protect http-based APIs with an authentication mechanism. Because it only supports the client-credentials flow, there are no redirects when the authentication fails, and only bearer tokens are supported in the authorization header. AUDIENCE -> Validate that the "aud" claim matches this value (optional, not validated when not provided). Since the aud claim can be either an array, or a single string, the configuration must be in json format. Use ["a", "b"] if you want to validate it as an array, or "c" if you want to validate that it's that exact value.